Guests are coming on short notice while and you are worried what to offer them to munch on? Fret Not! You can offer them a dishful of dry fruits to make the evening more fun-filled. So this is the wonder of dry fruits. They are nutritious, full of health benefits, still delicious and yummy enough to start a conversation. Even the baby who usually tends to avoid fresh fruits, cherish it. So incorporating dry fruits into your daily diet will not only serve you the required nutrition but also save your health from diseases as we all are aware that eating healthy is the first step towards to achieve fitness and good health. Therefore considering all these factors, dry fruits are an ideal choice. Therefore to know more about the usefulness of some dry fruits like Almonds, Kagzi akhrot, Walnut Kernels, and dried figs or Anjeer, stay with us. 1): ALMONDS: - This oval-shaped nut like a seed, which has a woody shell, is a healthy snack that can be enjoyed anytime. 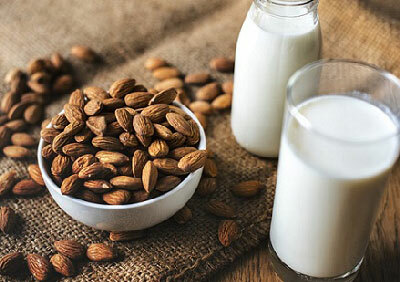 Almonds are rich in antioxidants, but cholesterol level is zero. They are beneficial to get relief from constipation, heart problems, and respiratory problems. They ensure glowing skin and healthy hair. 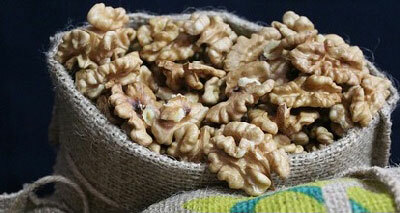 2): KAGZI WALNUT: - Kagzi Akhrot or shelled walnut is one of the best superfoods of modern days. They are excellent in mutation content as well as delicious and yummy. Due to the presence of enormous nutritious elements, it's quite easy to achieve all the health benefits from only a handful of walnut. It has a hard shell in the outer and soft meat or kernel inside. It is readily available in packets through online, and the quality is entirely satisfactory. It is widely used as pocket snacks due to the following beneficial facts. It contains Omega 3 fatty acids. It has protein and antioxidants. 3): WALNUT KARNEL: - Walnut Kernel is the de-shelled kernel or meat of walnut that has been processed by professionals. They are popular for their long shelf life and being an excellent snack it serves you the same health benefits that of a walnut. It is easy to take it on a journey and it’s ready to eat. No extra effort to crack the shell. The packed walnut kernel is well dried, clean and free from the hard shell, insects or any other foreign material. While cracking a walnut shell may be disappointing as you can get decomposed, damaged and wrinkled kernel, a packed walnut kernel is a sure option. Some of the health benefits are. 4)ANJEER OR DRIED FIGS: - Common fig in dried form is a well known dry fruit, and it is widely used as a snack item by all. It is also known as Anjeer. It comes under Mulberry family. Unlike other dry fruits, it has a juicy outer with crunchy and crispy seeds inside. Anjeer has impressive health benefits, and it can solve many health issues. Not only in India but also in Mediterranean countries it is used as dry fruits from ages. Some of the health benefits of Anjeer are. 1):- They boost up energy. 2):- They are Natural Laxative and contain a huge amount of fiber. 3): consuming dry fruits can prevent premature aging and improve skin health. The antioxidants in dry fruits stop free radicals and ensure glowing skin. 4):- A handful of dry fruits can serve you the nutrients your health need. 5):-dry fruits are tasted enhancer and yummy. So it's excellent to garnish food. So, friends, there is no reason to think twice to include dry fruits in your daily diet. You can easily order online and get it at your doorstep. Make your list and order. Stay happy and healthy.